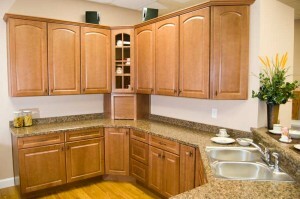 Landmark Kitchen and Bath Shoppe can supply you with all your cabinetry needs. Whether remodeling a kitchen, upgrading a bathroom, creating an entertainment center for that new flat screen television, or a new bar area for entertaining. Landmark can help you create your dream. Landmark carries Mid Continent cabinetry; a value priced line of cabinets with a large selection of door styles, stains and glazes to meet all your decorating needs. Landmark also carries Fieldstone cabinetry; a semi-custom line of cabinets that offers competitive and affordable customization options. For the value conscious shopper we have our own “Landmark” line of cabinetry which gives you all the options of a higher priced cabinet at a very affordable price. To compliment your cabinetry, we carry an extensive line of hardware in today’s most popular finishes.